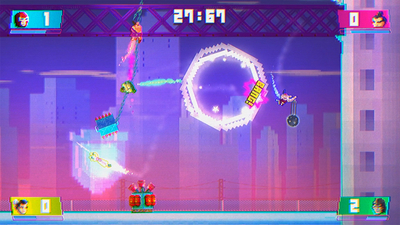 Play with friends or AI bots in this epic fast-paced game, where skill and reflex are everything. 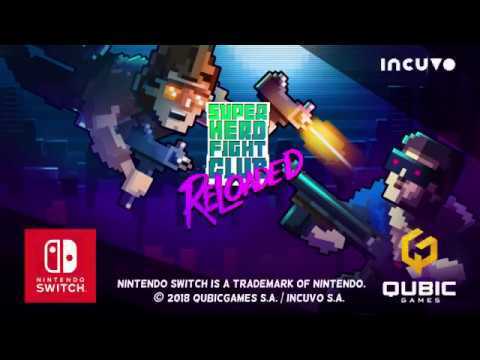 Join roster of uniqe heroes with original weapons and mechanics. Wide range of weapons include sword, shotgun, laser, batarang, bow and many more - find Your favourite. Single player missions, ladder and survival allow you to practise with every hero, so when time for deathmatch or team deathmatch with friends will come, You'll be ready to become numer one. 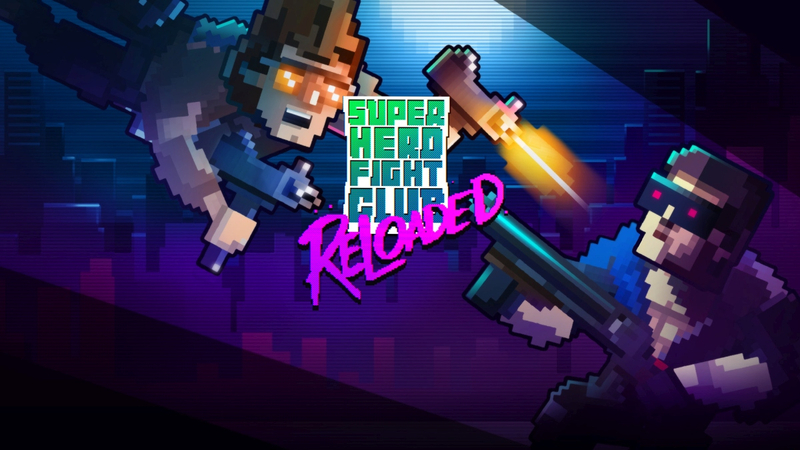 With its pop-culture pastiche, serious love for '80s synth and usual passion for jousting, Super Hero Fight Club: Reloaded is certainly one of Nintendo Switch's most unusual multiplayer offerings. 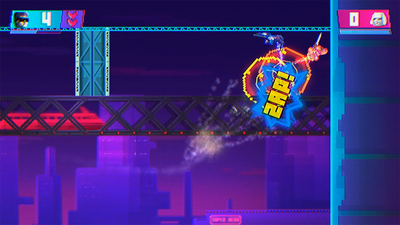 While it's not the most original concept, it does get extra points for the clever use of power-ups and hazards, making it a couch-play experience that will frustrate you and make you punch the air in triumph all at once.